What Is a Fat Quarter of Fabric? 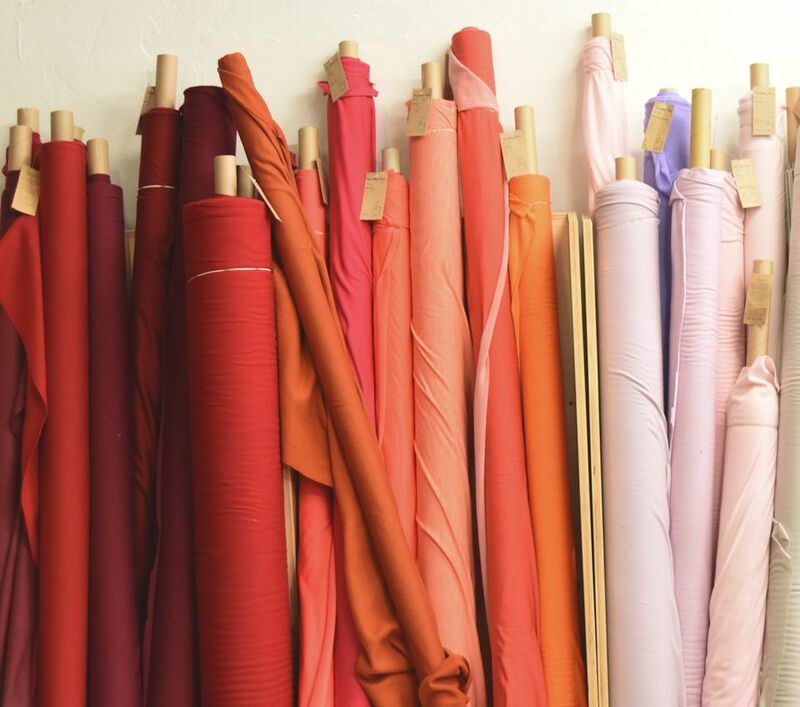 A fat quarter of fabric is a one-fourth yard cut that usually measures 18" x 22". To create a fat quarter, cut a half-yard of fabric, 18" ​along the fabric's lengthwise grain, then cut that piece in half at its midpoint as illustrated. The longest side's dimension sometimes varies because some quilting fabrics are not 44" wide. How Does a Regular Quarter Yard of Fabric Compare to a Fat Quarter? A typical quarter yard is 9" across and as wide as the fabric so a quarter yard of a quilting cotton usually measures 9" x 44". Regular quarter-yard cuts of fabric can be used for any purpose, but are especially helpful for strip piecing, where long strips of fabric are sewn together and then cut into patchwork segments that mimic a portion of a quilt block. You can use fat quarters for strip piecing by making extra strip sets from shorter lengths of fabric until you've cut the number of segments required for a pattern. Look at the illustration and you'll see that a fat quarter makes it easier to cut larger chunks of fabric than would be possible from a regular quarter yard, including strips that are twice as long on the fabric's stable lengthwise grain. A fat quarter offers more versatility, whether it's for patchwork or appliqué. Quilt shops know that fat quarters are popular, and usually offer a wide assortment of them, stacked up and ready to go. Fat quarters are perfect for sampler quilts, and when you're making a scrap quilt and buying them is one easy way to begin building your fabric stash. Fat quarters provide enough fabric to make nearly any quilt block in these pattern archives, with leftovers for another project. A fat eighth is half of a fat quarter and can be cut as shown in the illustration, or in the opposite direction, parallel to the fat quarter's longest edge. There's no true standard for fat eighths, so ask dimensions before you buy. There are hundreds of ways to cut fat quarters into usable patches for quilts. If you know ahead of time how many patches you need, reduce waste by rotary cutting long strips of fabric first and then cut shapes from the strips. Keep in mind that not all fat quarters measure 18" x 22", and that if you pre-wash the quarters, they will likely shrink a bit, fray, and could become distorted. The examples show how you might use fat quarters to create no-waste flying geese that finish at 3" x 6". 20 (3 7/8" x 3 7/8") squares are cuttable from one fat quarter. The squares become side triangles of flying geese. 6 (7 1/4" x 7 1/4") squares can be cut from another fat quarter to create the peaked areas of the geese if the fabric is truly 22" long. A 2 1/2"-wide strip should be left over to the right of the squares. Use all of the small squares and five of the large squares to make 20 flying geese. Cut four more 3 7/8" squares to create four more geese from the sixth 7 1/4" square. You can cut small squares from regular quarter yards too, but sometimes fat quarters are easier to deal with, especially for beginning quilters who aren't accustomed to cutting long strips of fabric. Long quarter-yard cuts tend to become more distorted in the wash than fat quarters.